Old coat of arms - anyone knows? 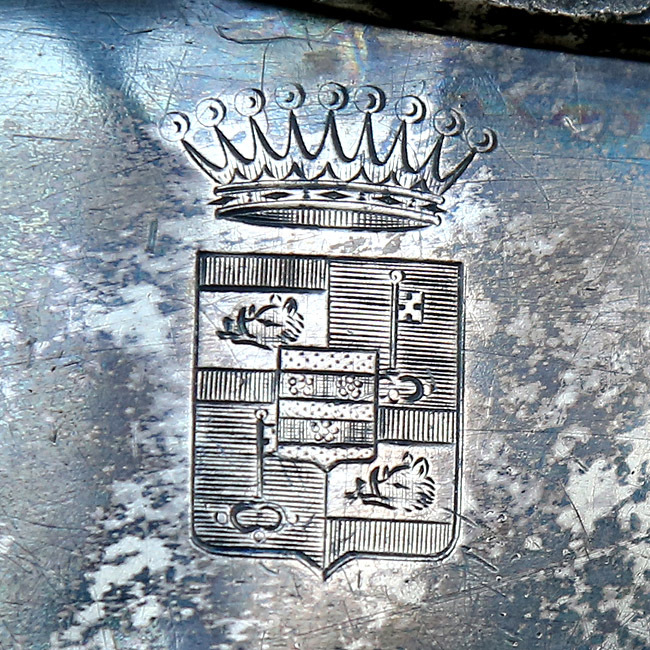 Below is the photo of coat of arms from old metal pot. Does anuone recognize family name of owner? Please write in comments below.